You’ve adapted your diet to eat high fat, moderate protein and low-carb. 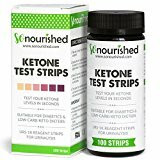 You’ve been tracking your macros and now you want to know if your body is in a state of ketosis (burning fat for fuel instead of carbohydrates)…..
ketone strips (available online), or ketostix (available in pharmacies). This is a cheap and easy method and I would recommend starting with one of these products. I have tried them both and they work well. As you become fully adapted to the Ketogenic Diet over time, you may find this method less reliable, however, and should consider one of the methods below if you wish to keep testing yourself. Most people don’t find testing ketones on an ongoing basis necessary. This is because you get to know what it feels like when you are in ketosis and won’t need to test yourself. Blood: The most accurate way to measure ketones is with a blood ketone meter where you prick your finger to test your blood. These tend to be more expensive though, especially if you are testing frequently. One of the best blood ketone meters is the Precision Xtra or the Freestyle Optium in the U.K. and Australia. Breath: a device called Ketonix can be used to test for acetone (ketones) in the breath. 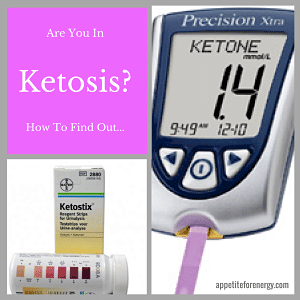 It is a good idea to test your ketone levels daily when you first start (using ketone strips) as it will give you confidence that the diet is working and it will help you know if you have reduced your carbohydrate level enough to enter ketosis. Nutritional ketosis is defined as ketones falling in the range of 0.5 – 3.0 mmol/L. 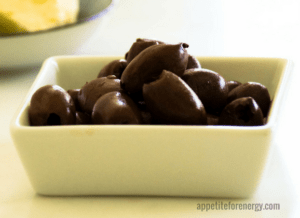 The average person’s ketone level is 0.1 -0.2. Your breath will be sweet smelling or fruity. You may have a metallic taste in your mouth. Feeling like you have the flu or “keto flu” – a common sign that the body is adapting to burning fat. 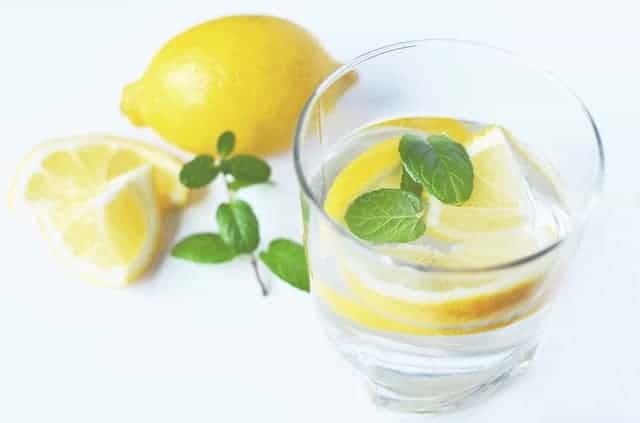 This will pass after a few days but ensure that you drink a lot of water and increase salt intake (use quality salt such as Himalayan rock salt).